Today I will make the first review of a modern era set, the Vietcong! Here is the classic Esci box, quite nice, but a bit dull and lacking the force that theme deserves. Same artwork, in the ERTL era. 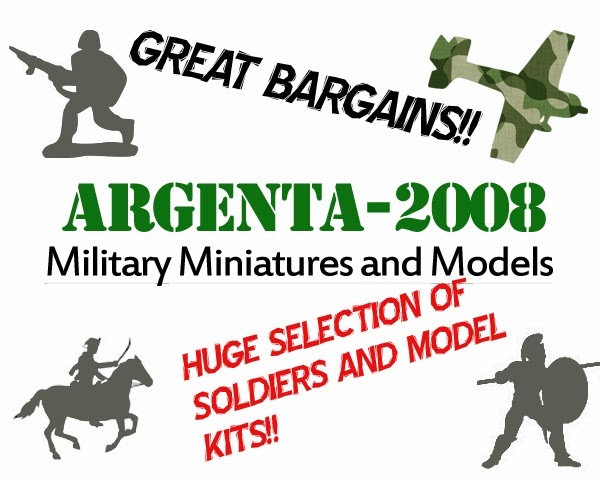 This is one of those sets that has also been released by Revell. The artwork is interesting. It is a good idea to represent while fighting in a crop field. But the quality is quite low. And well, this is probably the worst. 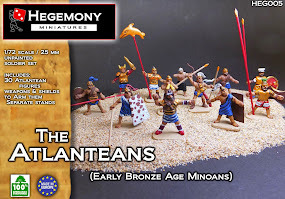 I actually had to convince myself "forget the box, there are nice Esci figures inside", maybe, without counting the Caesar Trojans, the box that has put me more off buying something. 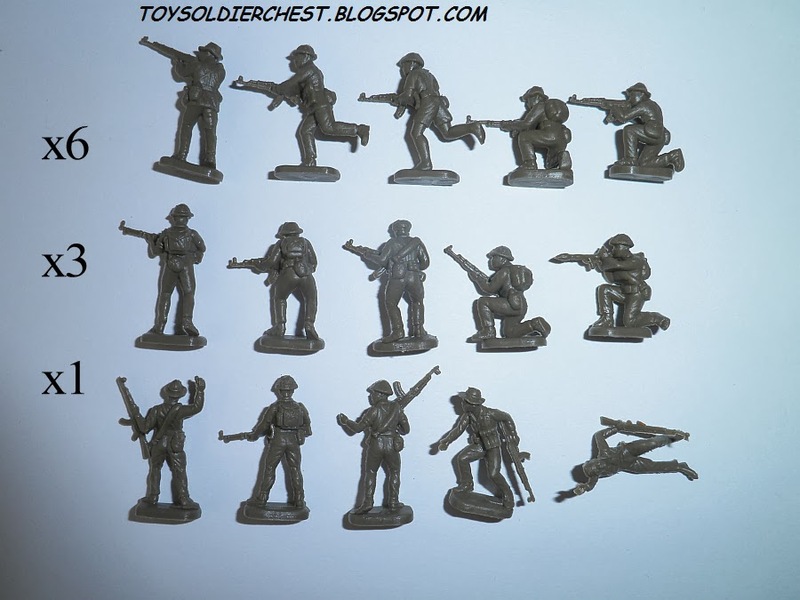 Thanks to Plastic Soldier Review, I knew they were very nice figures. 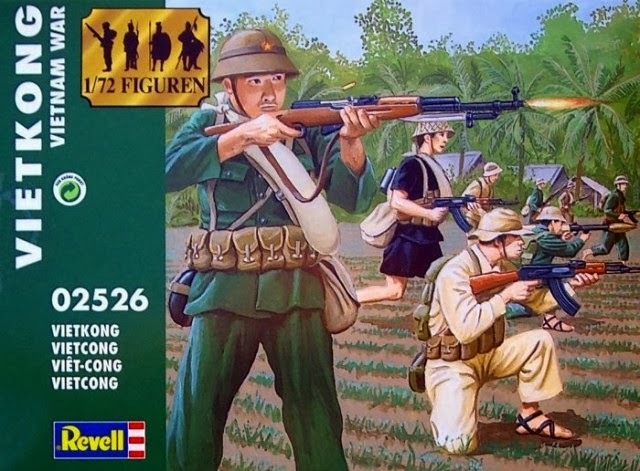 If you analyze it coldly, it's not a so bad artwork, but it seems more a modern Chinese army set, forgetting the deformed man in the foreground, which seems he has half a torso. 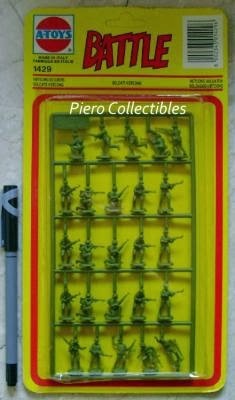 As a curiosity, in Italy it seems that many Esci sets were sold by A-Toys in this type of packaging, being exactly the same. If they were done with authorisation or not is a mystery. Detail; It depends on what release you have. If you have the original Esci, it is standard high quality, but in the Italeri reissue the detail is slightly "blurred". 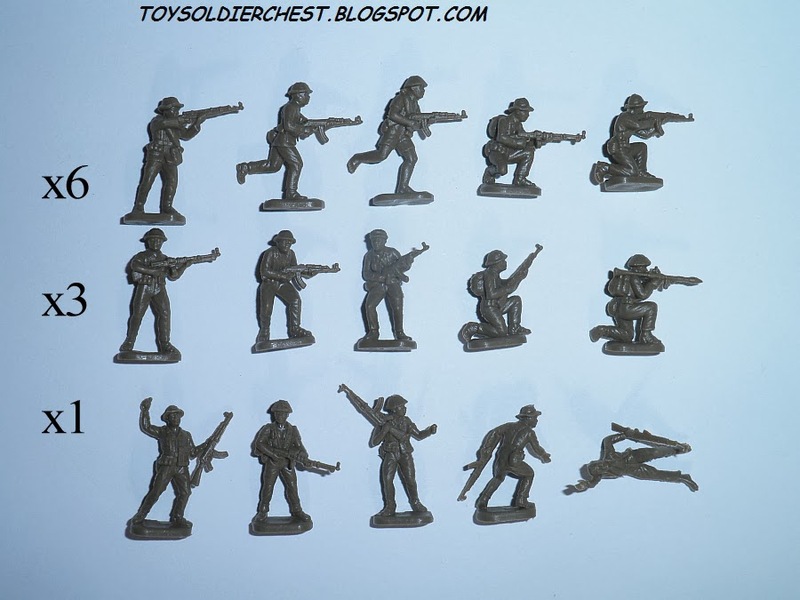 Maybe it is the hard plastic used, or just the moulds are old. Anyway, all releases have a minimum quality, which is high still in our days. Poses; Good, with some more imaginative than the typical Esci, but with several omissions and strange choices. 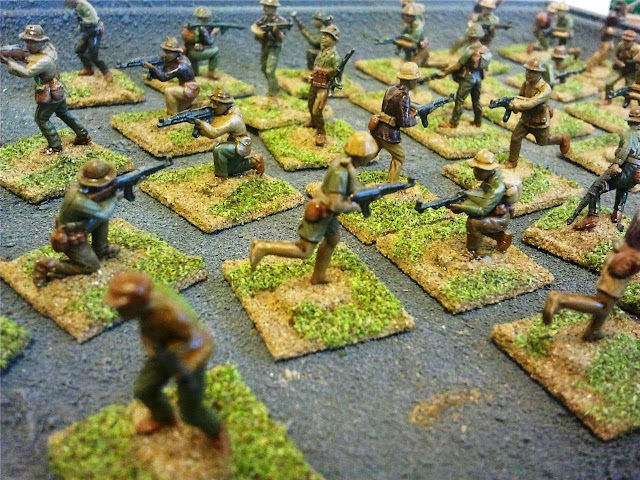 We are lacking prone figures! Nearly all Esci sets have them, and curiously, this set that would need several has none. Also, without explanation, we are just given one grenade-thrower, as if it was something very special. There aren't any mortar troops either. Finally, at least two poses are very similar to others (the two men running are practically identical, just with differences of clothing/equipment.The same with the two poses moving with kalashnikovs) that could have given more exciting poses. The man asking for help, and the man giving it, is a very unusual never seen again pose. Sure, Esci have done more or less the same thing (soldier helping wounded) a zillion times, but not in this way. However, it is not clear if he is being dragged, at the point of being pulled or what, but it doesn't look natural either way. Anatomical proportions; As usual with Esci, nearly perfect proportions. 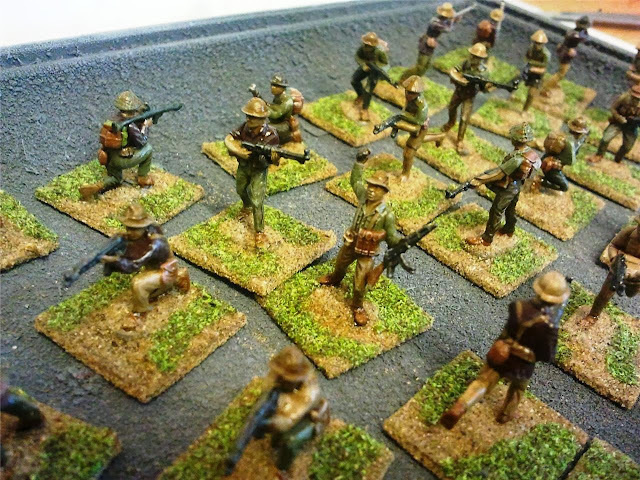 Height is ok too (thank god they are not basketball players, as other oriental soldier sets). Maybe they are a bit fat, as some would be very skinny. Plastic used; it depends on the release. 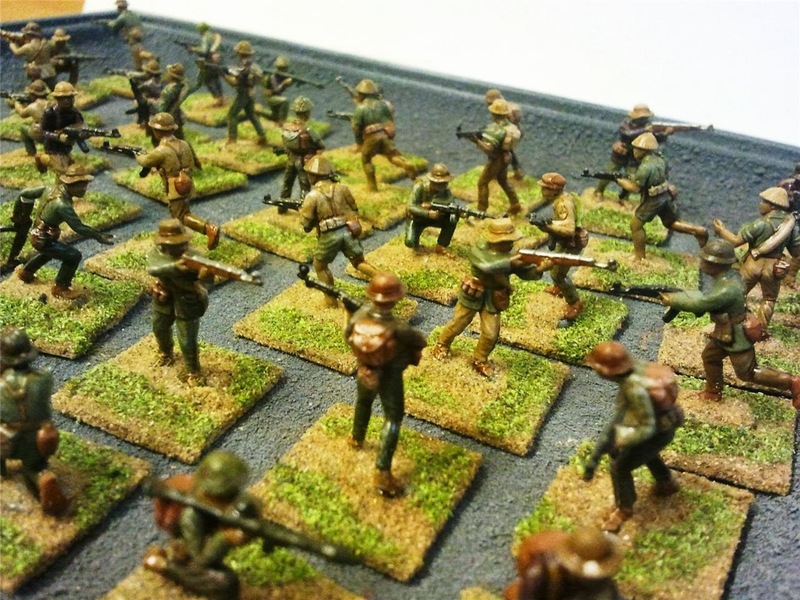 Esci has a very flexible plastic very bad for painting and gluing, and Revell and Italeri has a hard plastic very good for painting and gluing. 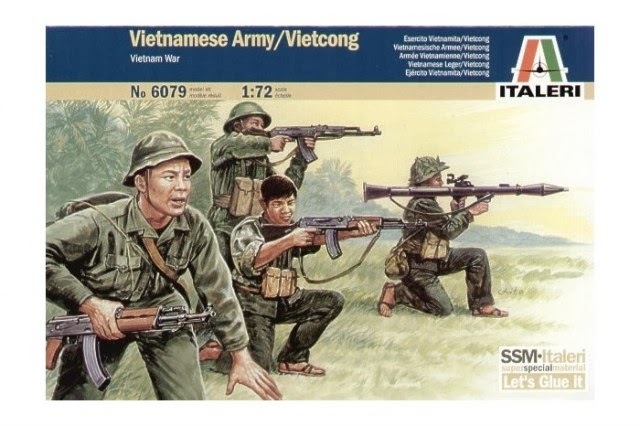 This set is really a mixture between professional army of North Vietnam and the rebels.But really needs much more representation of the rebel part.In other words we miss several civilians wearing various typical vietnamese costumes. Also, some man should have been wearing the big fisherman conical hat, and instead something similar is done but much more smaller and rounded. They can be used for other oriental modern armies, or simply oriental rebels, but as many are wearing sandals or go bare-footed, only some will be ok to convert them into regular armies. With some modifications they would make good Cambodjan, Malaysian or Timor rebels, or North Korean troops. 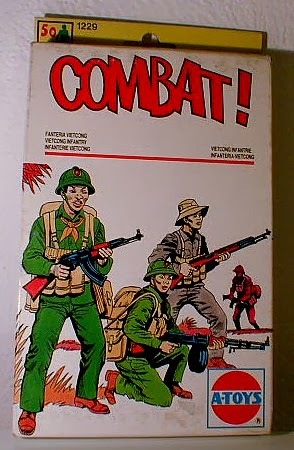 The Vietcong is a fun theme, and Esci did very well to make every soldier different , but much more could have been done. 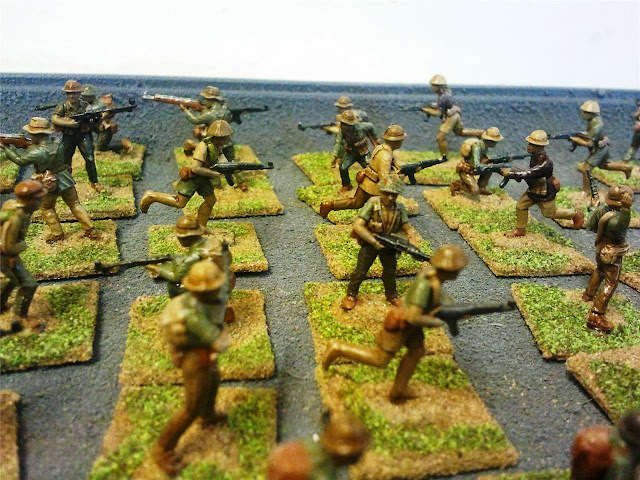 Men digging tunnels , preparing explosives for sabotage, snipers, stabbing with knifes, opening their way through the jungle with machetes, setting up mines, even children with grenades! The subject allowed it and encouraged it all, and we get a very dull set instead. Not very good wargaming value, they could have done at least a general, or some officials. All the men are fighting which is good, but we miss staff. At an average 10 € for 50 figures, the value is good. These figures might be old, but they are not any worst than the most recent releases. 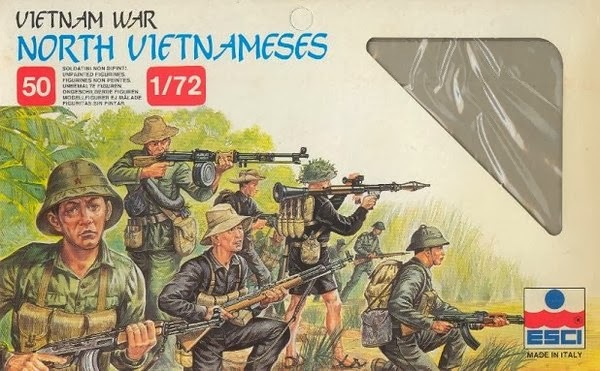 If you were born before the 1990s, the Vietnam War was everywhere in series, films and books. It is an powerful and famous theme, such as Vikings, Cowboys or Spartans. This is a good set, above average, but not fantastic, and it was easy to get it right, better than what we have. 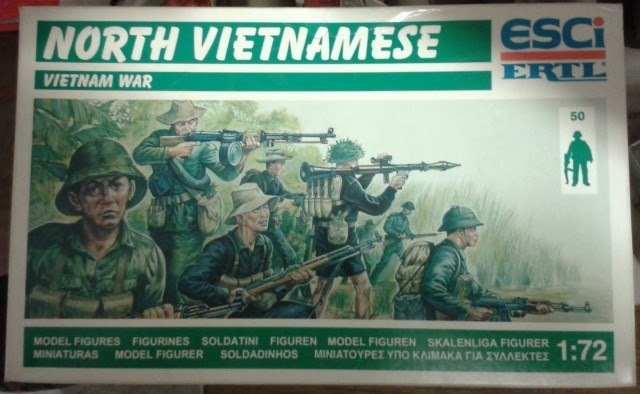 But better not complain much, as there isn't any alternative made, and I can't see any manufacturer doing a set, as the Vietnam War is something quite forgotten now. We can only wait that HaT or a similar manufacturer gets interested in the subject and starts doing everything. Conclusion; Good Esci set, but much more could have been done. Would I recommend buying them over other alternative sets? ; Maybe, if it existed any alternative :) . Well if you compare this set with some modern sets perhaps... but if you compare it with the Esci tipical of their great era or the rival manufacturers of the time ,seems that you are lacking several types.